Our Top 10 Finds of 2018 | Blog | Di Bruno Bros.
Posted January 24, 2019 by Di Bruno Bros.
2018 was a memorable year for us. Our Eagles won the first Super Bowl in team history, GQ Magazine named Philadelphia “City of the Year,” and we celebrated the launch of some of our most exciting and popular new products ever! 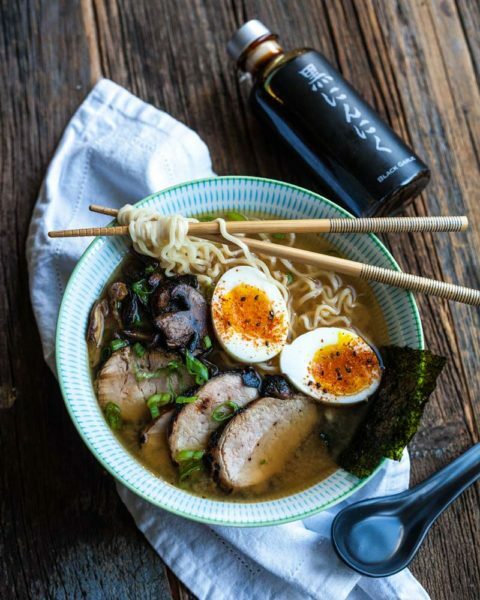 From West Virginia to Japan, we searched high and low to bring you these tantalizing flavors. In case you missed them, we’ve assembled a Top 10 list of our 2018 finds. Sit back, read, order and enjoy! 10. DB Smoky Cheddar Mix – A crunchy blend of premium roasted nuts, savory crackers, cheddar flavor, and just the right amount of smoke. Perfect for binge watching or cheering on the home team! 9. Pastificio dei Campi – I.G.P-certified from Gragnano, a.k.a.The City of Pasta, in Campania. Produced in the perfect microclimate for pasta-making, and packaged in handsome red-and-black window boxes you’ll be proud to display on your counter. 8. Agromonte Cherry Tomato Sauce – Located on the southeastern tip of Sicily in the municipality of Chiaramonte Gulfi, Agromonte harvests tomatoes at half a mile above sea level. It’s delicious, but were mostly infatuated with the adorable bottle (and the $5 price point!). 7. J.Q. Dickinson Sea Salt – Our new favorite sea salt, from West Virginia. (Read that again, but slower). How is a landlocked state producing exceptional sea salt? Read about it here. 6. Tapping Reeve – An American original that is a little bit Cheddar, a little bit Lancashire, and 100% Connecticut. Made by our friends at Arethusa Farm in Litchfield, it is further proof of just how deep the craft of artisan American cheese-making runs these days. 5. 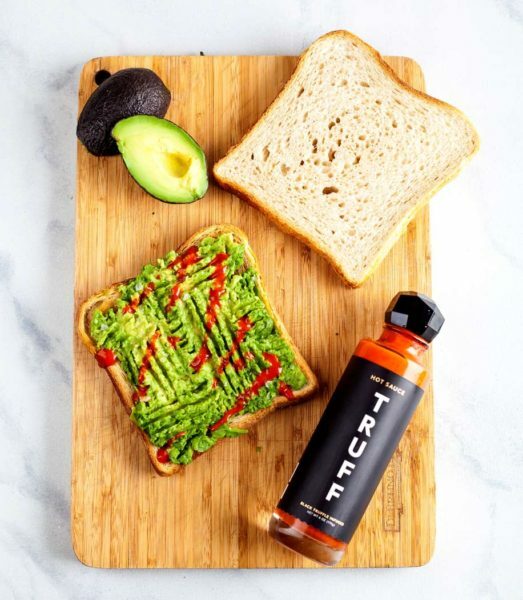 Truff Hot Sauce – We couldn’t help but let fly with collective eye roll when we heard about yet another thing that someone was adding truffles to. And then we tasted it, and immediately recanted. This intoxicating blend of ground chilis, black truffle oil, agave nectar and organic cumin is our new add-to-everything sauce. Read more here. 4. Di Bruno Select Cabot Clothbound Cheddar – In August, Head Cheese Monger Hunter Fike visited the esteemed Cellars at Jasper Hill. His mission: find an extraordinary batch of Cheddar that we could make exclusive to Di Bruno Bros. He returned with a stunning flavor profile, touching on beef broth, caramel and pineapple. See our Instagram story about his trip HERE. 3. Di Bruno Black Lava Cashew Chocolate Bars – Anyone who has tasted a Black Lava Cashew can speak to their addictive quality. The perfect balance between caramelized sugar and black Hawaiian sea salt, they’re hard to put down! Resident Idea Man, Scott Case, had the brilliant revelation to add these to our line of chocolate bars, and one of our favorite new products was born. 2. 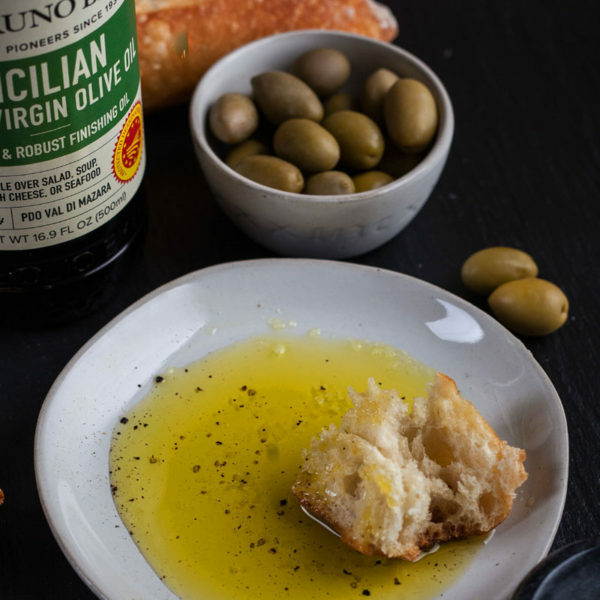 Di Bruno Sicilian Olive Oil – Quite simply, the best olive oil we have ever bottled. From the Val di Mazara region of Sicily, this blend of Biancolilla, Cerasuola and Nocellara del Belice olives results in the perfect mix of buttery sweetness with slight pepper notes. Available in half or whole liter bottles. 1. Black Garlic Molasses – Most years, the launch of our best-ever olive oil would easily nab the #1 spot on this list. But one product captured the imagination – and taste buds – of our staff and customers in ways that we’ve never seen before. Black Garlic Molasses was so compelling, we launched a new blog series, Food 4 Thought, to sufficiently tell its story. The only ingredient in this black nectar is garlic, and it’s as good for you as it is delicious. Read all about it here. filed under: New Products, News & Events, Our Favorite Products & Producers, Random Fun!